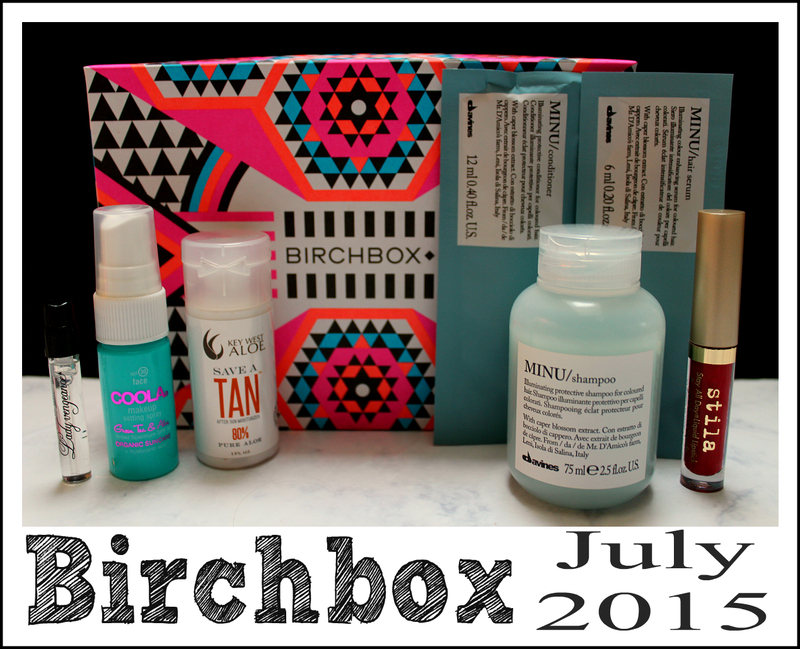 This month's Birchbox was full of all sorts of goodies. It included products from 3 brands I had never heard of and 2 brands that are long-time favorites of mine. I'll definitely be kicking my beauty routine up a notch after receiving this month's Birchbox. This earthy blend hints of a men's cologne but with a touch of femininity, you know it's meant for a woman. The combination of rose, vanilla, and patchouli is appealing without being overpowering. Even at $90 a bottle, I would definitely consider purchasing this perfume. I have previously used another brand's makeup setting spray and loved it. Think of it as hairspray for makeup. It keeps it in place throughout the day and is particularly great if you've got a long day ahead of you. I loved that this spray contains an SPF and is organic. This lotion is made with 80% aloe vera, making it perfect for after sun skin care. Whether you've gotten a little too much sun or not much at all, this lotion moisturizes and prevents peeling to preserve your sun-kissed skin. And the scent is absolutely divine. This shampoo is specifically formulated for color-treated hair. It gently cleanses while protecting your color. Birchbox threw in a bonus by adding MINU conditioner and hair serum. I have to say, I love all of them. My hair felt great, smelled great, and styled incredibly after use. I'm all about one product that does that job of three. This gloss glides on easily but has true staying power (like, for hours and hours) and works similarly to a stain. I've used it on both my lips and my cheeks. Through cocktails and a full meal, my lips still looked as if I had just applied the product.